We manage projects and create strategies for a variety of projects and clients. We assist our clients in developing an approach to maximize efficiency and be successful with every challenge. Each project we undertake is complex and unique. Square Feet Design Group was established in 1994, focusing on public spaces, corporate interiors and fitness facilities, offering full architectural drawing and facilities planning services. We deliver environmentally conscious and value based facilities that are cost effective for owners and clients. Our goal is to design buildings and spaces that help our clients achieve their goals. The firm is recognized nationally for numerous successful projects. Our team of architectural technologists, project managers and design consultants apply their combined talents to each project with vision, enthusiasm, and invaluable experience. Life in the workplace has changed. Interior spaces are more than desks and offices. We look at your organization’s goals and culture to create a plan that will meet the needs of your people. We create environments that stimulate teamwork. 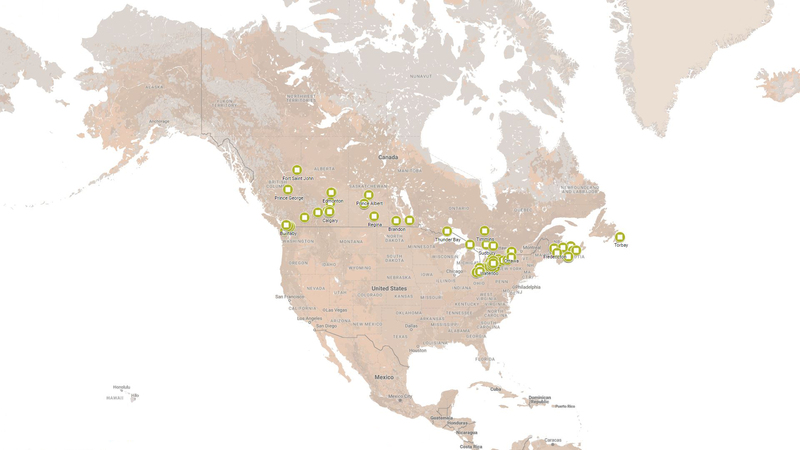 In cities across Canada, Square Feet has created over three hundred fitness facilities. Each has its own unique design. Square Feet believes that safe and accessible sport and recreation centers are integral to a healthy community. Hospitality design demands creativity, style and a passion for providing memorable guest experiences. We strive to provide new and interesting environments that create lasting value for our clients. Square Feet provides strategic planning, detailing and implementation of exceptional interiors. We are experienced in completing a diverse collection of commercial buildings in which our clients enjoy their quality of life and return on investment. Our technology provides the opportunity for our team to deliver advanced, accurate construction documents and 3D visualizing. Using the models created with Autodesk REVIT software we can collaborate to make well informed decisions earlier in the design process and deliver projects more efficiently. Message sent, please give us some time to get back to you. Get started on the path to your ultimate vision now. Contact us for more information on how we can create an environment perfect for you. Ⓒ 2016| Square Feet Design Group Inc.